We are very pleased be introducing this innovative new product into our downlighter product range. Utilising the very latest generation of LED technology the Hydrus LED produces warm white light (3000K) with impressive colour characteristics and energy efficiency; boasting a Colour Rendering Index in excess of 85 and efficiency of 111 lm/W. However the Hydrus’ real ingenuity is evident in its discreet design attributes. This product has a very shallow recessing depth at just 42mm, the precision engineered die-cast aluminium body acts as the light source’s heat sink enabling the product to capitalise upon its slim profile, making it very versatile and suitable for a broad variety of applications with easy installation thanks to the products spring release clips. Not only does this product have notable design attributes, it also has an excellent build quality. The solid assembly of this product results in an ingress protection rating of IP44 and an impact resistance of IK07. 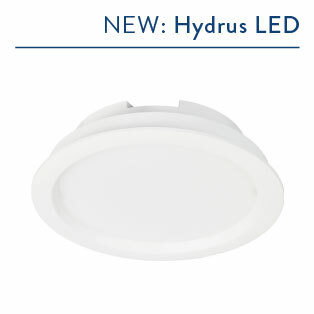 You can find further details and technical information about this product by visiting the Hydrus LED product page. Alternatively, you can also find it in our new catalogue; if you are yet to receive yours, please feel free to get in touch and request one. 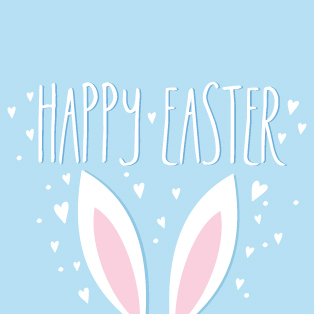 Lamps & Lighting would like to wish all of our customers, clients and suppliers a happy Easter this spring. As we are sure many other UK based companies will be doing, we shall be taking advantage of the bank holidays this weekend and we will celebrate Easter over a four day weekend. Please be advised that Lamps & Lighting Ltd. shall not be trading on Friday 3rd or Monday 6th this April.